May be used with an Revell/Italeri Leopard 1. 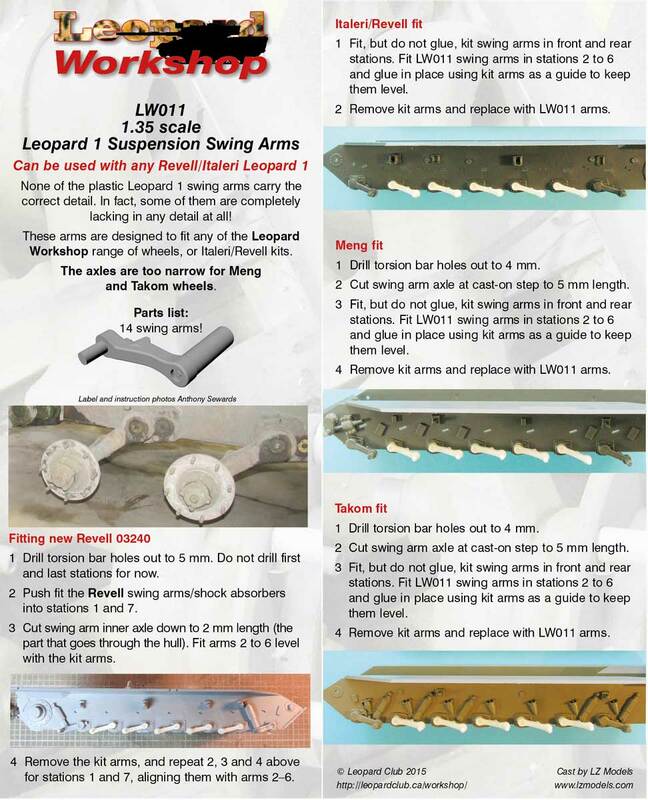 None of the plastic Leopard 1 swing arms carry the correct detail. In fact, some of them are completely lacking in any detail at all! 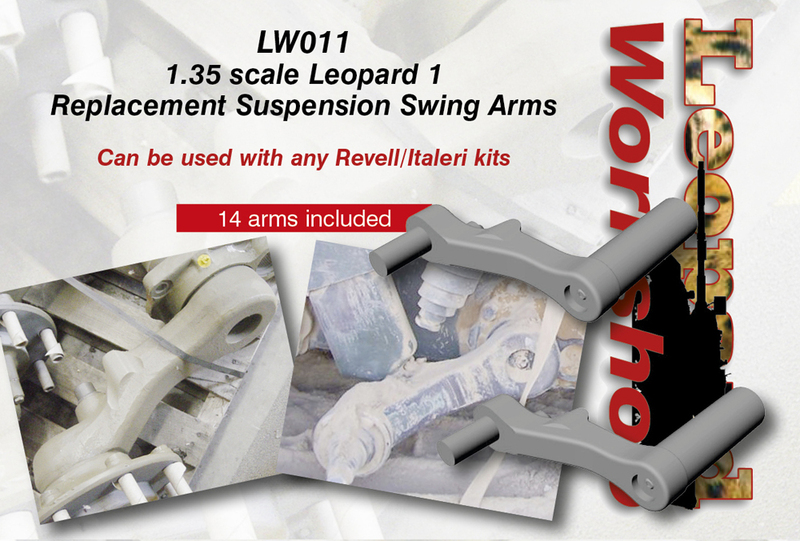 These arms are designed to fit any of the Leopard Workshop range of wheels, or Italeri/Revell kits. The axles are too narrow for Meng and Takom wheels. However, fitting instructions are included for these two manufacturers. Label and instruction photos Anthony Sewards. Push fit the Revell swings arms/shock absorbers into stations 1 and 7. Remove the kits arms and repeat 2,3 and 4 above for stations 1 and 7, aligning them with arms 2-6. Fit, but do not glue, kit swing arms in front and rear stations. Fit LW011 swing arms in stations 2 to 6 and glue in place using kit arms as a guide to keep them level. Remove kit arms and replace with LW011 arms. Drill torsion bar holes out to 4 mm. Cut swing arm axle at cast-on step to 5 mm length.